1. The GMAT – Make sure to buy a few guides in preparation for your exam; they will highlight your strengths and help you concentrate on your weaknesses. The Kaplan GMAT Premier and the Official Guide for GMAT Review are two of best guides available. You can also pick up specific handbooks for quant or verbal if you require extra help in a specific area. Don’t be afraid of bombing your first attempt. If it happens, just commit to doing it better the next time! 2. School Research – Reviewing program outlines, professor bios, and student blogs are excellent ways to start your school research. Pay attention to academics, opportunities for student engagement, city location, and student profiles to make sure you choose the best program to meet or exceed your expectations. 3. References – Identify references who know your work and personality well enough to provide the admissions staff with examples of your contributions. Choose managers or supervisors with whom you have worked closely – it isn’t useful to list your CEO if they don’t know the caliber of your work. 4. Resume – Update your resume to a standard format that highlights your relevant experience. Work experience is a key component of the admissions process, so clearly highlighting your accomplishments is important. Resume workshops are widely available and are a good investment of your time. 5. Schedule an advising appointment – There are many opportunities to learn more about a particular program. If you have questions about the program or how the MBA could help you advance your career, you can reach out to an admissions advisor by booking an appointment at http://sfubeedie.setster.com/. You can meet with our advisors in person or over Skype. 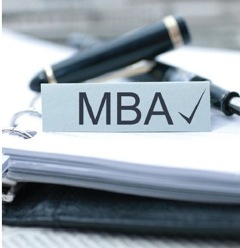 While this is not a complete list of everything you should do when applying to MBA programs, the above tips may help you navigate the application process. Good luck!